Creating natural looking furniture can be a satisfying undertaking. When you use the raw elements of wood, such as warped or bent branches, you get to truly appreciate the material your furniture is made from. These rustic pieces of furniture can remind you of the natural world and help to give you a sense of overall peace whenever you look at them. Creating this furniture is cost-effective, especially if you have access to trees or lumber near your house. It is also easier than traditional furniture because the warped nature of the natural wood is more forgiving on misaligned pieces and small mistakes. Cut down a tree about 20 feet tall with the trunk around 4 inches in diameter. Do this by cutting a small triangular notch in the bottom of the trunk. Make sure that this notch is facing in a direction that the tree can safely fall. Cut from the opposite side and push to fell the tree. Cut the trunk into eight pieces. Cut four pieces that are 2 1/2 feet long and four that are 2 feet long. Cut off all the branches and strip the smallest twigs from the pieces with a knife. 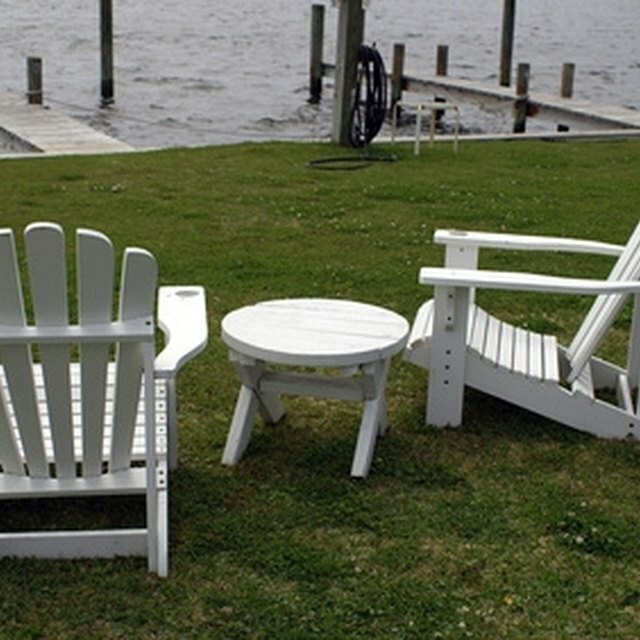 Create the back of the chair with two large (at least 4 feet long) branches, folded one over the other. Bend a branch over the other to form an arc. Wrap some twine around them where the branches meet. Fold the other branch over as well, and wrap the branch the same way. 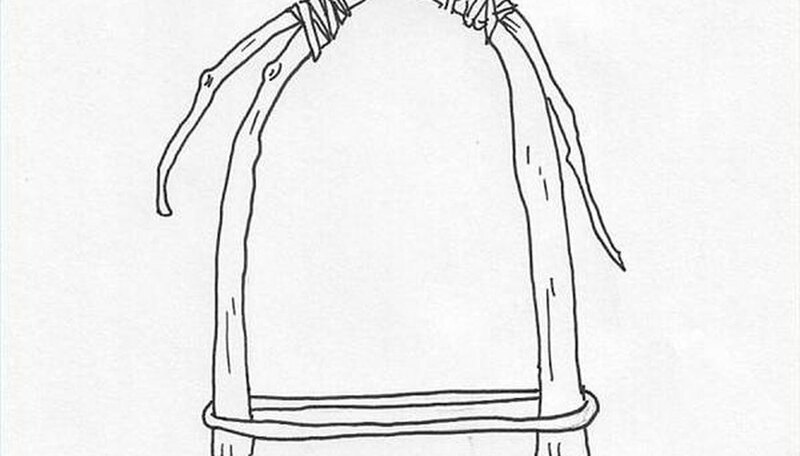 Tie a piece of twine connecting the base of each branch so they stay in the from of an arch. Lay a 2-foot-long log, horizontally, over two 2 1/2-foot-long vertical logs. Hammer a nail diagonally on each side, through the bottom of the horizontal log and into the vertical log. Cut a branch into a 2-foot section and hammer this in place between the two vertical logs to create a support. Do this entire process again for the other side of the chair. This will create the left and right leg set ups. Flip both of the leg set ups over and place two 2-foot logs in between the leg set ups to create the rest of the seat. 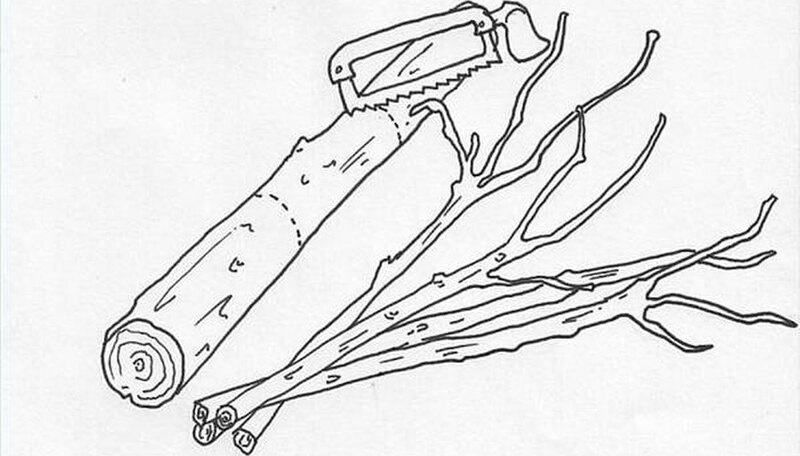 Place two 2-foot-long branches running across the middle of the logs. Hammer these in place with 2-inch nails. Flip the set up back over and hammer the back of the chair in place with two 2-inch nails going through the bottom of the branch into the log. Place three branches against the back of the chair and hammer in place with two nails per branch, going through the branch into the log wood. Add a support branch that is 2 feet long between the front two legs. Do the same with the back two legs. Hammer this in place with diagonal nails that go through the branch and into the leg. Use two nails for each end of the branch. Spray a coat of matte wood sealer over the entire chair. This will help to keep it firmly together and eliminate the amount of chipping that can occur with extremely natural furniture. You can strip the bark off to cut down on the peeling the furniture will do over the years. Always wear protective goggles when working with wood. Andrew DeWitt is a freelance writer/illustrator and stand-up comic with more than eight years of professional experience. He has written for Chicago Public Radio, Vocalo Radio, Second City Chicago, and The Lemming. DeWitt has a liberal arts degree with a double major in theater and creative writing. 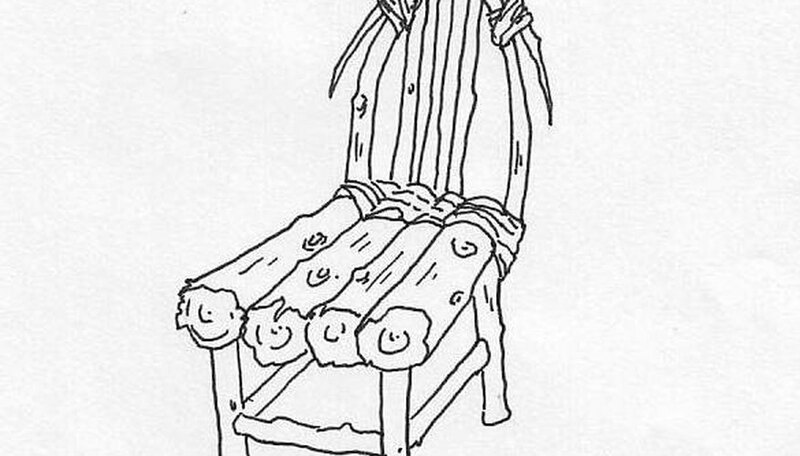 What Is a Courting Chair?